We help maintain independence and quality of life. Senior Care | Respite Care | Private Duty Nursing Comfort Keepers® caregivers travel to clients` homes to provide care services and living assistance, allowing seniors and disabled individuals to live comfortably and independently. We have been serving the Greater Charlotte Area since 2001. 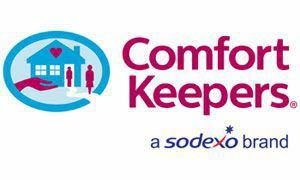 All Comfort Keepers caregivers are bonded and insured and trained and supervised by a Registered Nurse. Our services are available 24 hours a day/7days a week, including holidays. We are happy to provide a free, no-obligation, in-home consultation. We work with all LTC Insurance companies, and are also contracted providers for PACE, Medicaid, Veteran`s Administration, and Department of Social Services Block Grant Programs. We are also available on a private pay basis. We have offices in Charlotte, Hickory, and Salisbury.